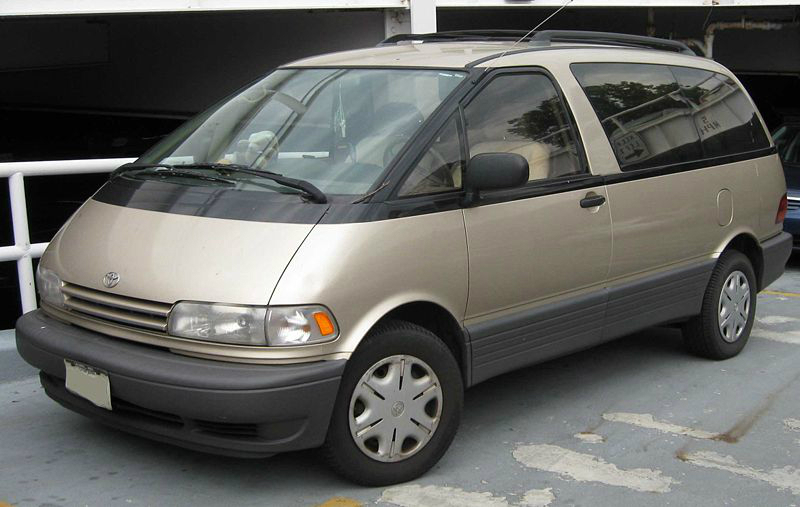 My wife and I own an old Toyota Previa van, like the one pictured here, it has over 200,000 miles on it, it squeals loudly driving around town, it hums loudly at highway speeds, it probably needs around $1,000 worth of work right now to keep it truly road worthy, and yet I can’t imagine living without it. There are very few things that we can’t fit inside it or strap to the roof rack, including this year’s 10-foot Christmas tree, it’s amazingly comfortable on long road trips, and you can sleep in the back in a pinch. Back in July 2011, I wrote about the Suzuki Every Van and how it was doomed, because, as an EV (Electric Vehicle) it failed the U Test in a big, big way, offering a pathetic maximum range of 62 miles. …Via Motors unveil[ed] the company’s first extended-range electric vehicle, a full-size light duty pickup truck called the eREV VTRUX. [The] 100-mpg VTRUX attempts to replace a full V8 engine with a hugely powerful 402-horsepower electric motor (with 300 lb-ft of torque), a larger version of the same system that allows the Chevy Volt to beat EV range anxiety. 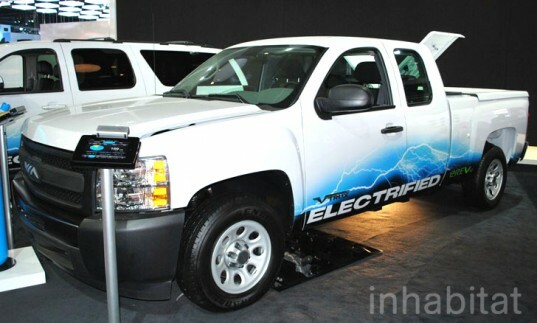 Now, the downside is that, like the Chevy Volt, the VTRUK is NOT a true EV, as Inhabitat mistakenly refers to it. It still utilizes a gasoline engine, hence the “100-mpg” rating, which clearly makes it a hybrid in my eyes. That said, since SUVs are such notorious gas guzzlers, a 100-mpg pickup is nothing to laugh at, and the fact that Via Motors will also be producing a van and something that looks like a Chevy Suburban, might just win my seal of approval anyway, for how soundly they are winning the U Test. If we are ever to completely replace gasoline-powered automobiles, automakers MUST make them affordable (who knows how much these Via trucks will cost), and they must pass the U Test. The average family must be able to drive their family members, their dogs, their stuff and their home and garden improvement supplies around, and they have to have good range, especially since charging stations are only just starting to pop up in a relative handful of places. dreaming of the day when the “norm” for vehicles is 100 mpg.